He was born in 1534. 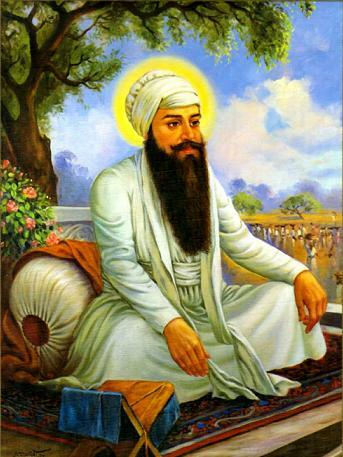 Guru ji founded the city of Amritsar and started the construction of the famous Golden Temple at Amritsar, the holy city of the Sikhs. He requested the, Muslim Sufi, Mian Mir to lay the cornerstone of the Harmandir Sahib. The temple remains open on all sides and at all times to everyone. This indicates that the Sikhs believe in One God who has no partiality for any particular place, direction or time. 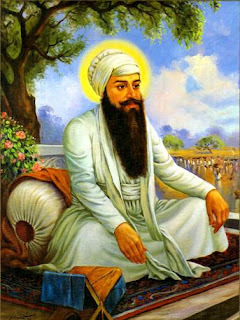 The standard Sikh marriage ceremony known as the Anand Karaj is centered around the Lawan, a four stanza hymn composed by Guru Ram Das ji. The marriage couple circumscribe the Guru Granth Sahib ji as each stanza is read. The first round is the Divine consent for commencing the householders life through marriage. The second round states that the union of the couple has been brought about by God. In the third round the couple is described as the most fortunate as they have sung the praises of the Lord in the company of saints. In the fourth round the feeling of the couple that they have obtained their hearts desire and are being congratulated is described.